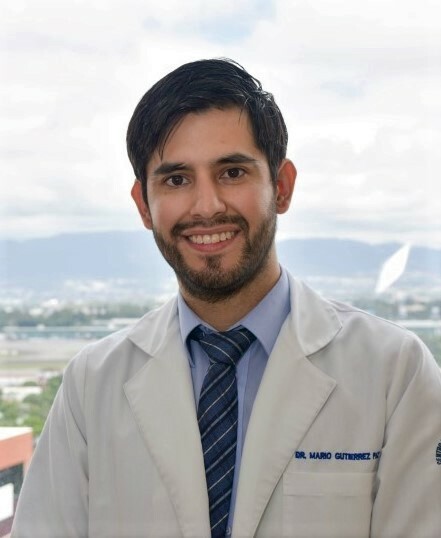 Dr. Mario Gutiérrez works together with his brother Dr. Rudy Gutierrez to offer medical excellence in all areas of visual and ocular health at their Guatemala City eye surgery center: Centro de Retina y Macula Consultores de Guatemala, or Retina and Macula Consultants Center of Guatemala. 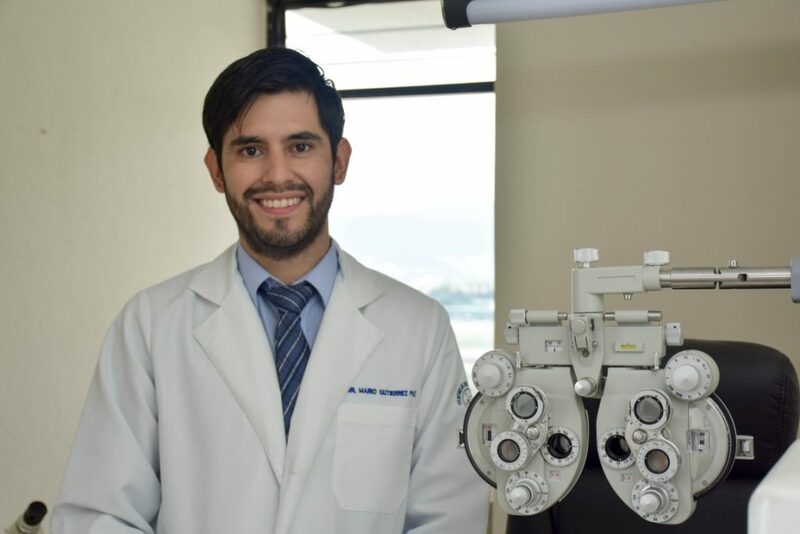 For comprehensive attention to the prevention, diagnosis, and treatment of eye diseases, patients depend on Dr. Gutierrez to utilize the latest technology, to operate at the highest international quality standards, and to offer the honest communication and personal devotion to excellence that will assure their successful outcome. 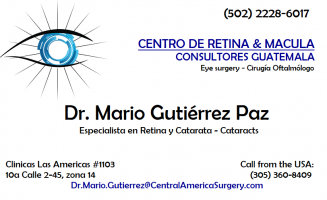 Dr. Gutierrez is a retinal surgeon, or ophthalmologist who specializes in cataracts. 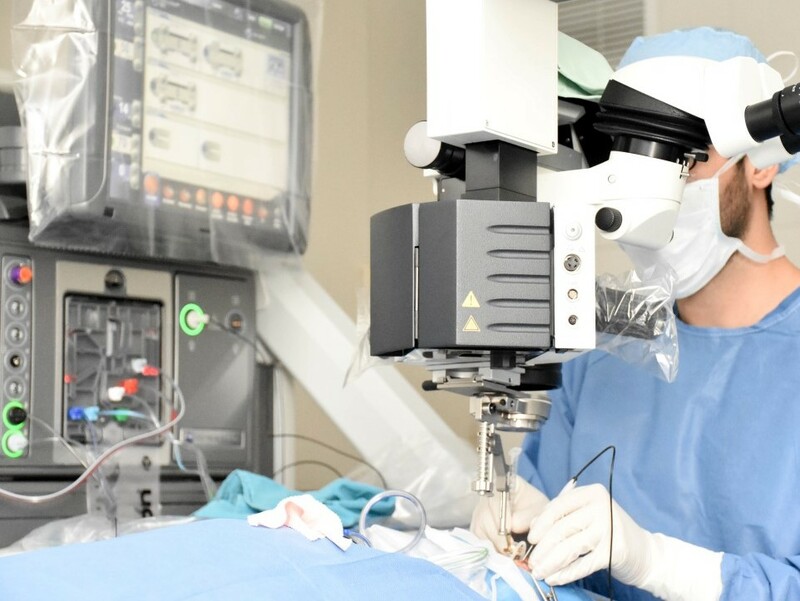 He treats conditions ranging from age-related macular degeneration to retinal detachment, intraocular tumors and cancers of the eye. 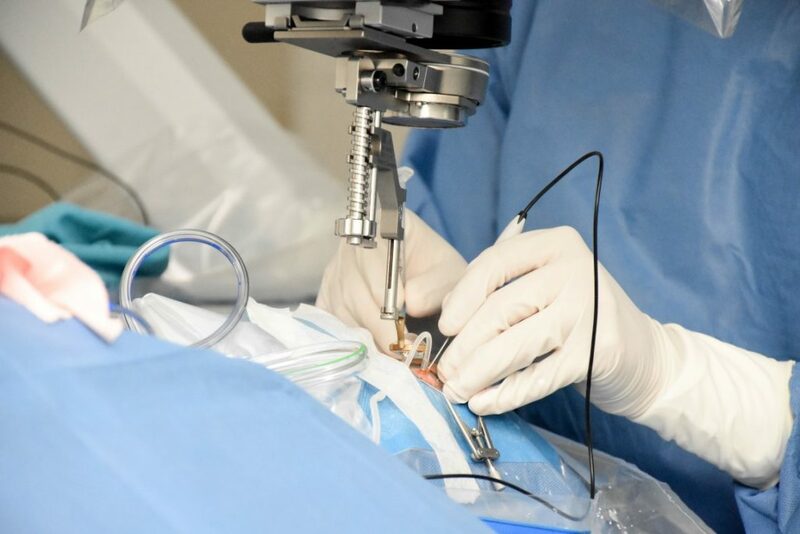 Minimally invasive surgery is performed with microscopes and lasers to be certain of the most accurate precision placement possible. 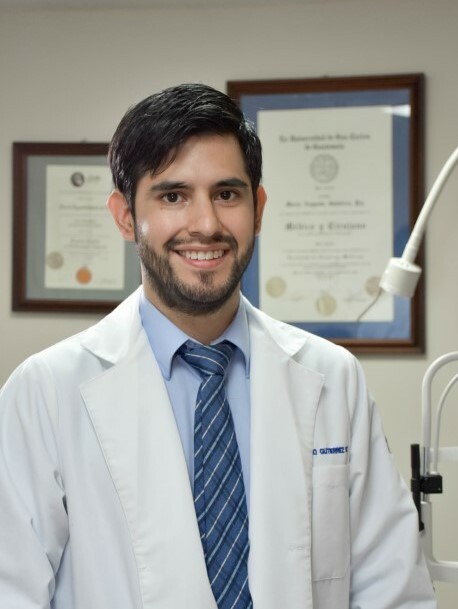 When people suffer from severe eye trauma, like in an accident, or hereditary diseases, Dr. Gutierrez is your best choice of eye specialist for the diagnosis and correction. 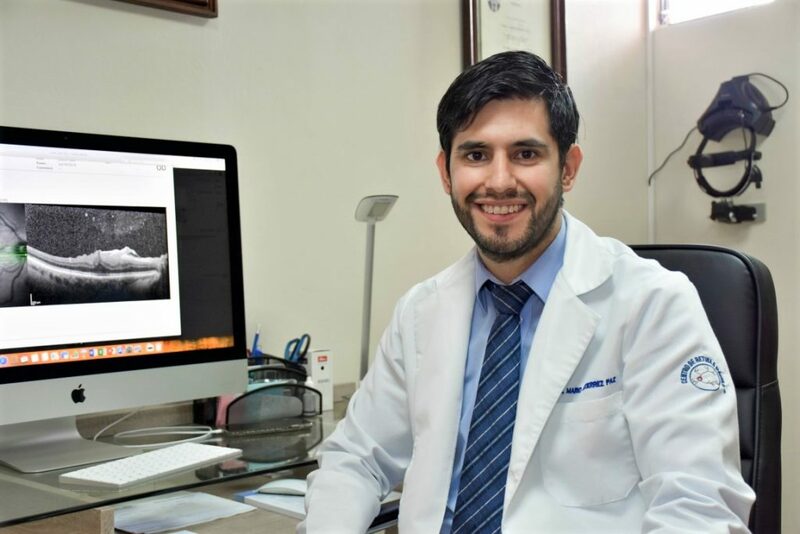 Medical technology is constantly improving, so Dr. Gutierrez studies the latest advances through his affiliations with Johns-Hopkins Medical Center, Duke University and various international associations in Toronto, Canada and throughout Latin America. 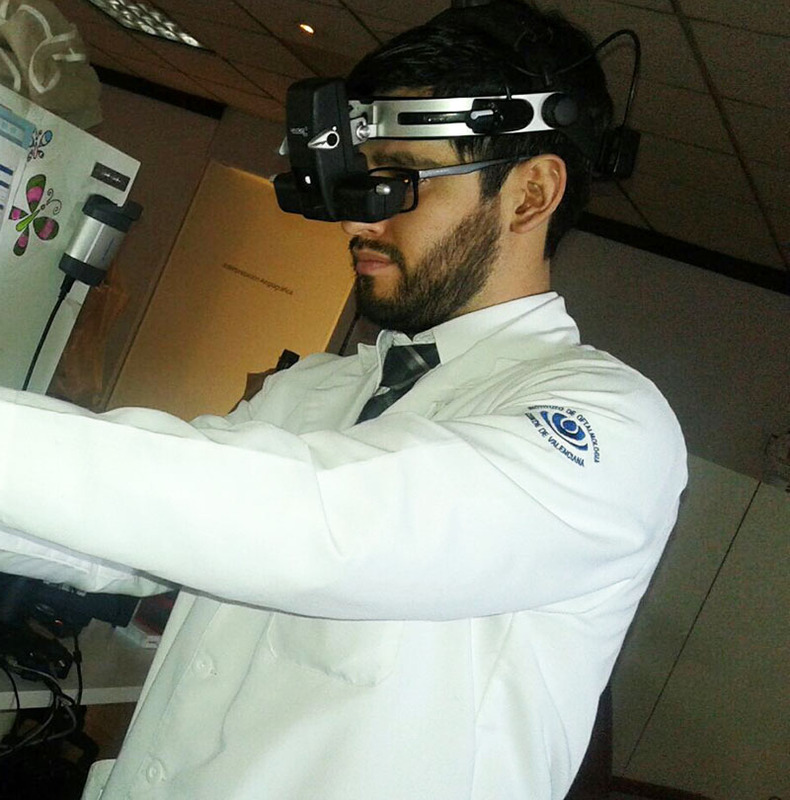 Scientific investigation is a significant part of the Retina and Macula Consultants Center. 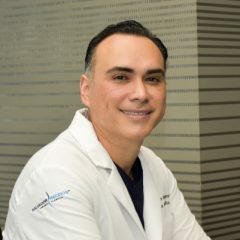 Dr. Gutierrez has extensive experience in analyzing clinical research regarding safety and efficacy of newly-developed treatments. 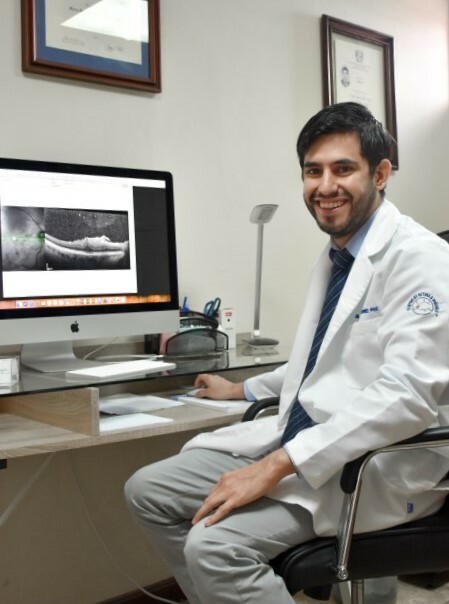 Proper treatment plans depend on accurate interpretation of diagnostic images and exams. 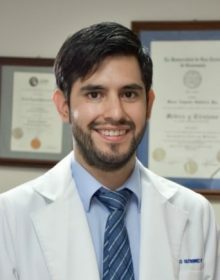 Multimodal retinal imaging studies, like ultrasound, angiography with fluorescein, and optical coherence tomography – OCT, are essential tools for Dr. Gutierrez to determine the root cause of the problem and to plan the correct procedure to restore the patient’s vision and long-term eye health. 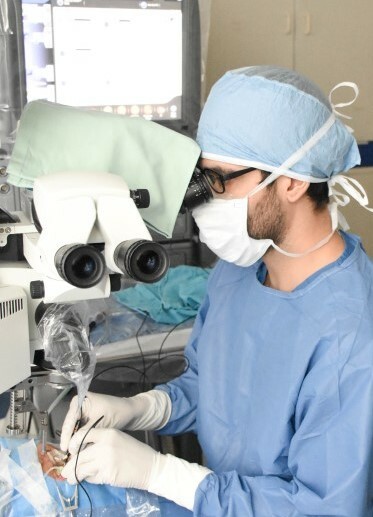 He uses highly technical instrumentation to diagnose extremely delicate tissue in the incredibly small space of the eye cavity. 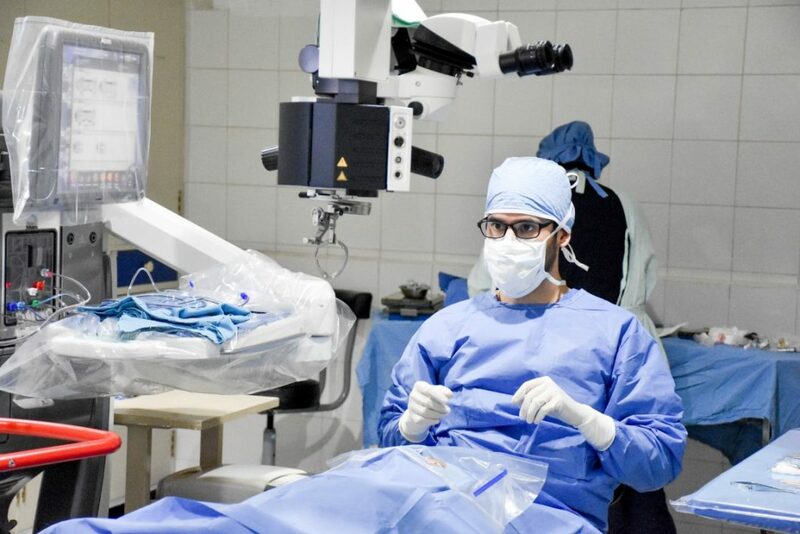 Dr. Gutierrez performs state-of-the-art eye surgery at the Instituto Panamericano Contra Ceguera – IPC, or Pan-American Institute Against Blindness. 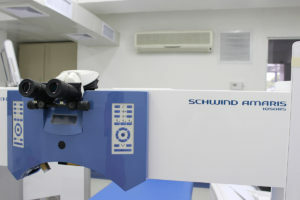 Beyond the high-tech microscopic-surgery capabilities, this non-profit institute is devoted to promoting visual health and reducing blindness in Guatemala by developing social programs to educate and treat all Guatemalans, especially those who might be far away from modern city hospitals. 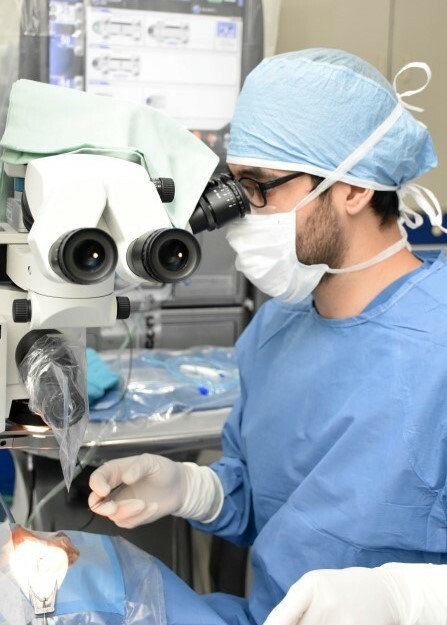 For cataract surgeries, Dr. Gutierrez removes old cloudy natural lenses through a tiny 2mm microincision and replaces them with premium quality intraocular lenses (IOL) from globally recognized producers like Alcon and Novartis. 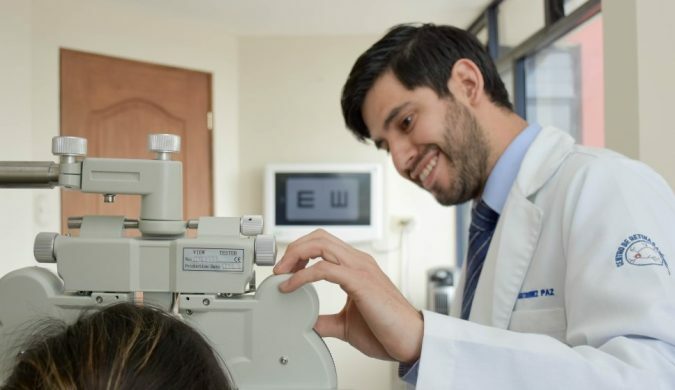 Patients who suffered from hypermetropia, astigmatism, and myopia (near-sightedness) can now see clearly to perform normal activities like sports, computer work and driving without depending on the use of corrective glasses. 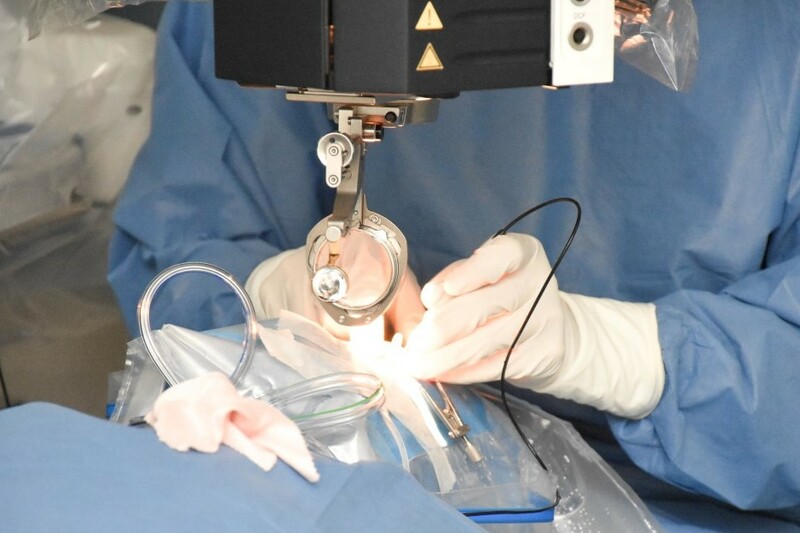 Phakic IOLs are clear implantable lenses that are surgically placed either between the cornea and the iris, or just behind the iris, without removing your natural lens. They function like contact lenses. Phakic lenses enable light to focus properly on the retina for clearer vision. The difference is that phakic IOLs work from within your eye instead of sitting on the surface of your eye. 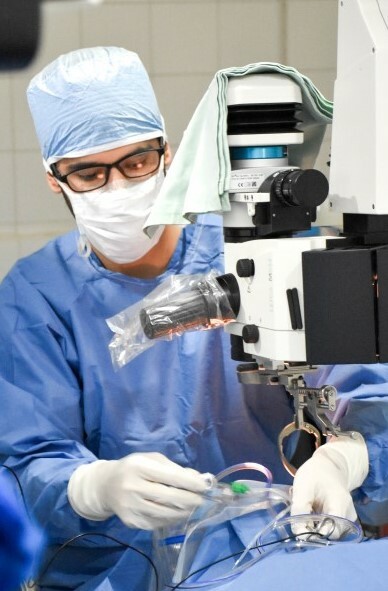 These lenses are intended to provide visual freedom to patients by reducing or eliminating the reliance on glasses or contact lenses. 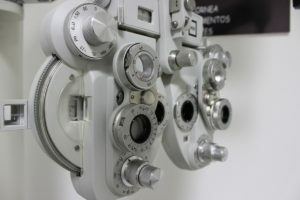 Retinal detachment refers to the separation of the retina from its connection at the back of the eye. 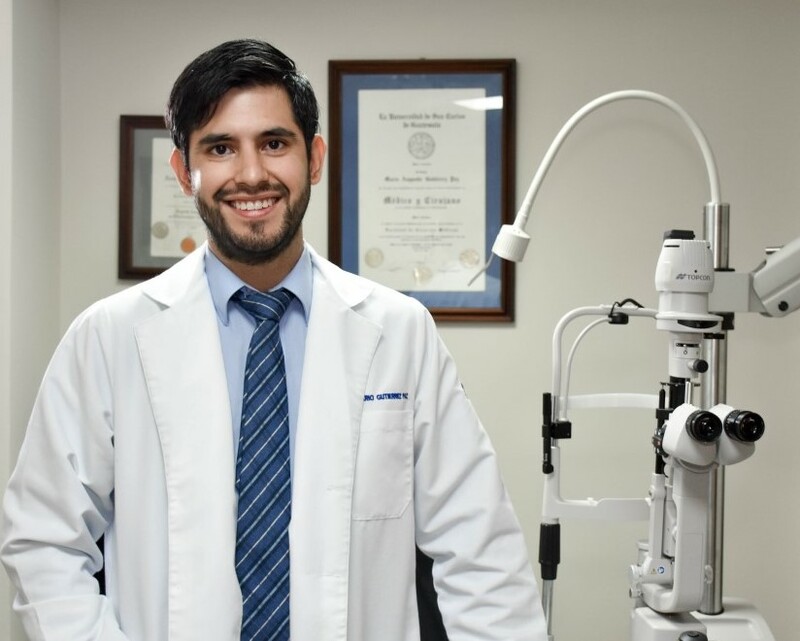 It usually happens when a tear, or perforation, allows the retinal fluid or vitreous gel to pass through and accumulate behind the retina. 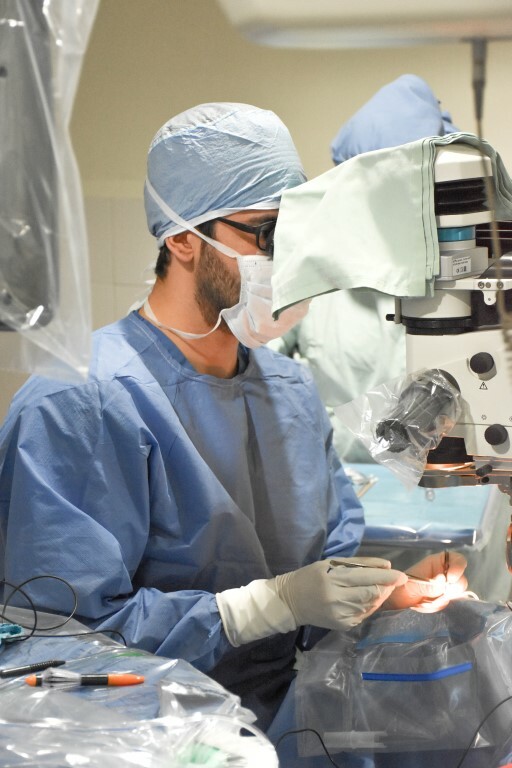 A detached retina affects the nerve cells, which could be permanently damaged, and must be repaired quickly to avoid loss of vision. 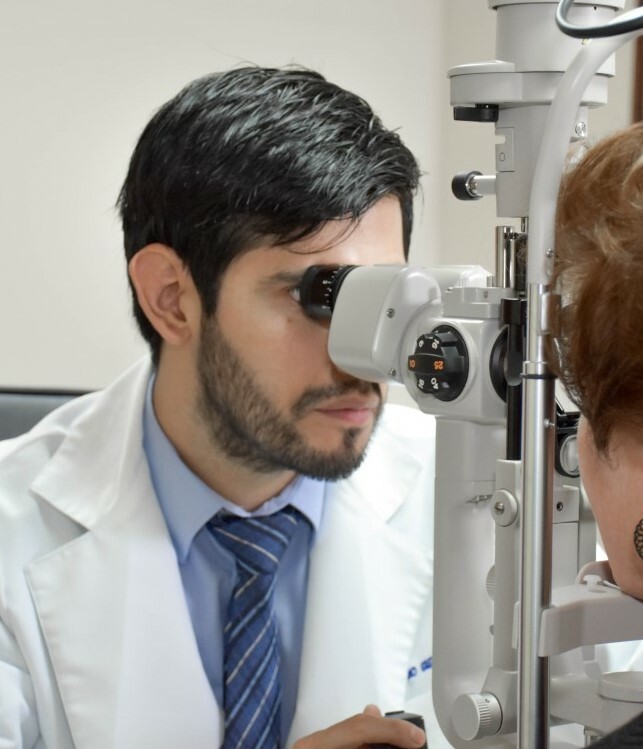 When the tear happens, patients might see spots or floaters that move spontaneously, flashes of light, or what appears as a dark curtain shrouding their visual field. 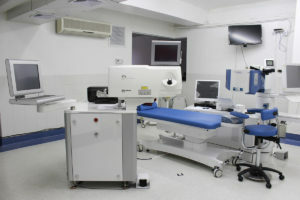 It is imperative to see a retinal specialist right away to rule out a retinal tear. 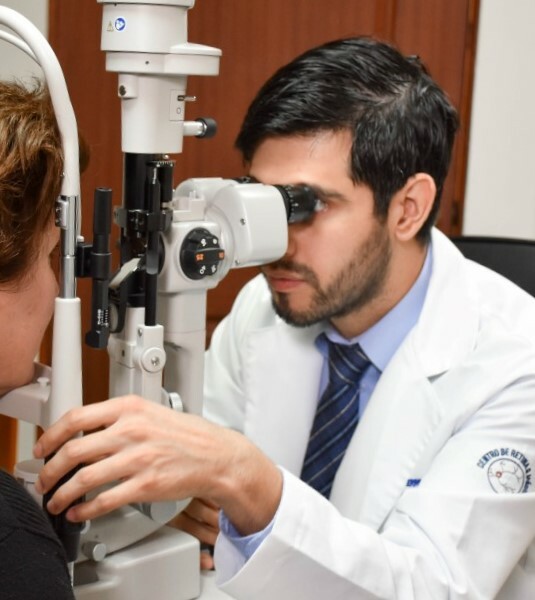 Diabetic retinopathy (die-uh-BET-ik ret-ih-NOP-uh-thee) is a diabetes complication that affects eyes by damaging the blood vessels of the light-sensitive tissue in the retina at the back of the eye. 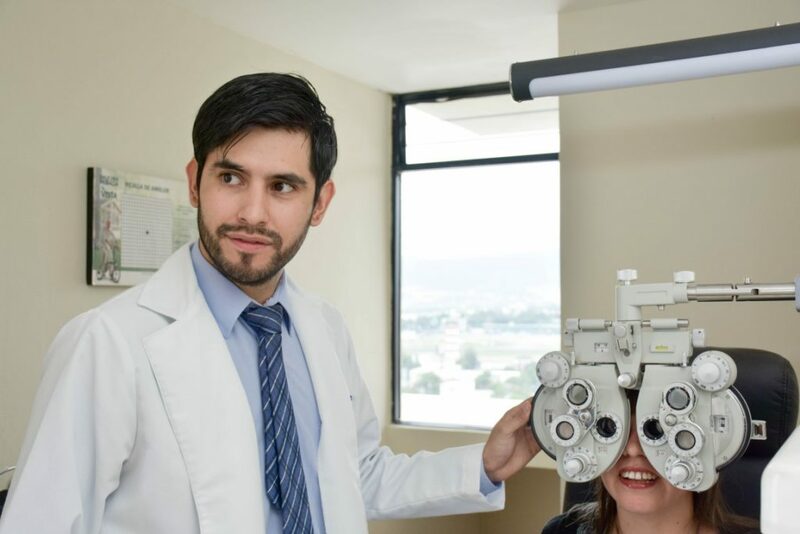 At first, diabetic retinopathy may cause no symptoms or only mild vision problems, however, it can eventually cause blindness. The condition can develop in anyone who has type 1 or type 2 diabetes. The longer you have diabetes and the less controlled your blood sugar is, the more likely you are to develop this eye complication. Metamorphopsia will cause patients to see deformed lines or floaters and fine spots around the border, or peripheral, vision. It is a visual defect that causes linear objects, such as lines on a grid, to look curvy or rounded. People can first notice they suffer with the condition when looking at mini-blinds in their home. It is caused by problems with the eye’s retina or the macula. 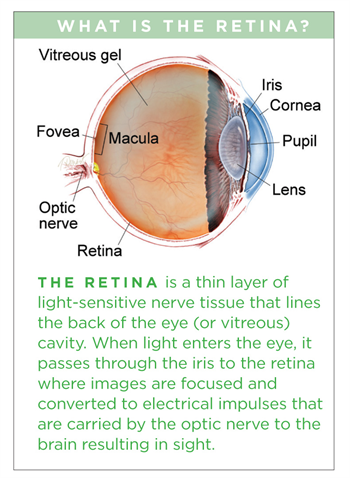 The retina is a thin layer of cells at the back of the eye that sense light and sends impulses to the brain via the optic nerve, allowing you to see. 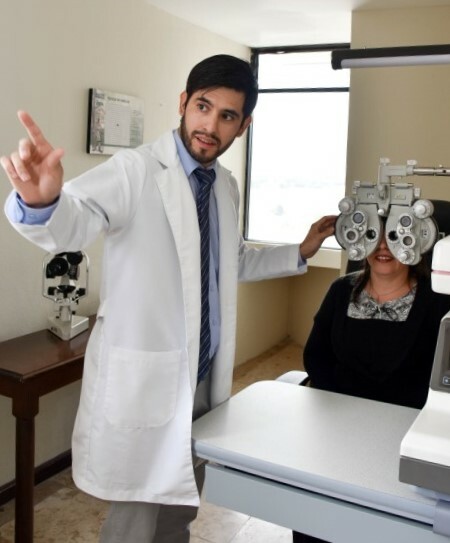 The macula sits in the center of the retina and helps you to see things in clear detail. When either of these areas are impacted by disease, injury, or age, metamorphopsia can result. 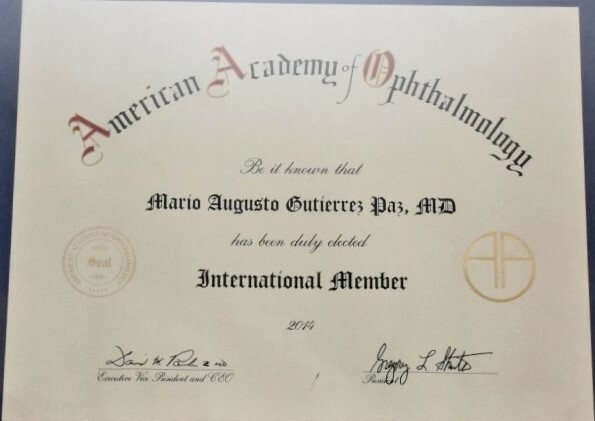 The primary objective of Dr. Mario Gutierrez, his brother Dr. Rudy Gutierrez, and the medical team of the Centro de Retina y Macula Consultores de Guatemala, or Retina and Macula Consultants Center of Guatemala is to offer patients the best personal attention and scientific technology to care for their vision and eye health. 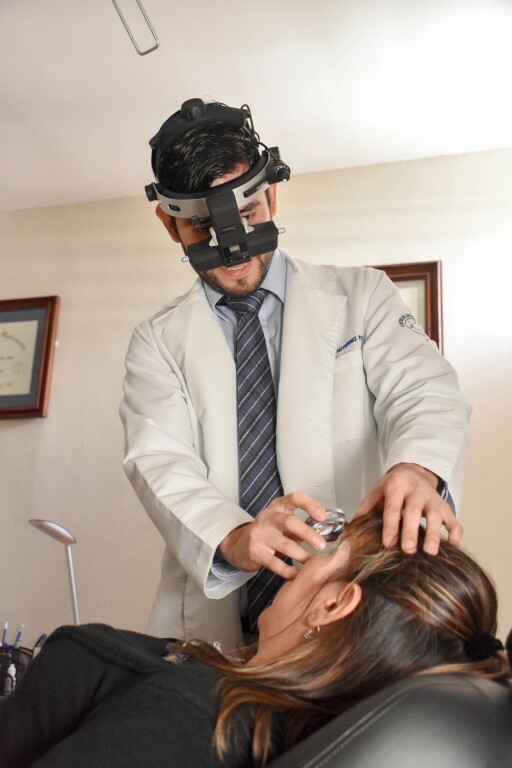 We provide the best alternatives in the field of prevention, diagnosis, treatment and rehabilitation in diseases of the eye. 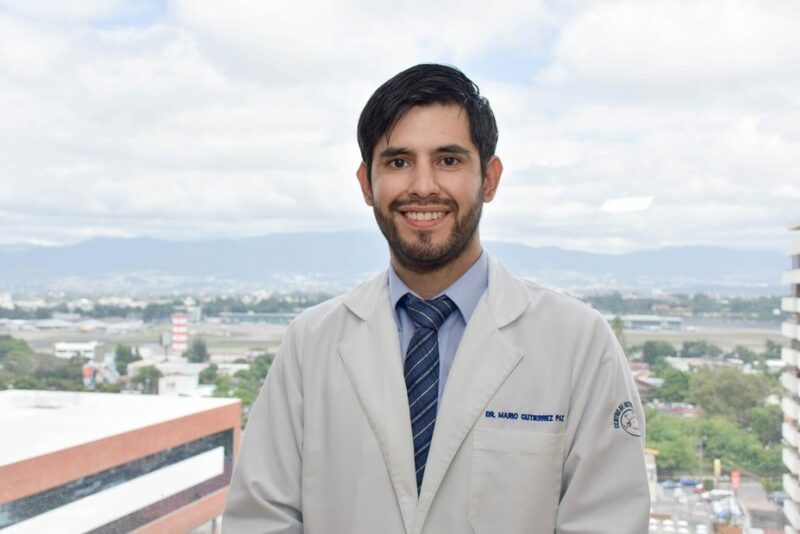 Dr. Mario Gutierrez is currently the Head of the Retinal Surgery Department and post-graduate studies program at the Pan-American Institute Against Blindness – (IPC). 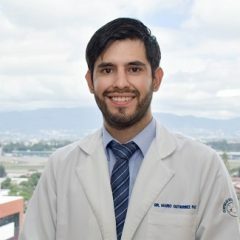 In this capacity at the foundation, Dr. Gutierrez develops academic curricula and oversees clinical research. 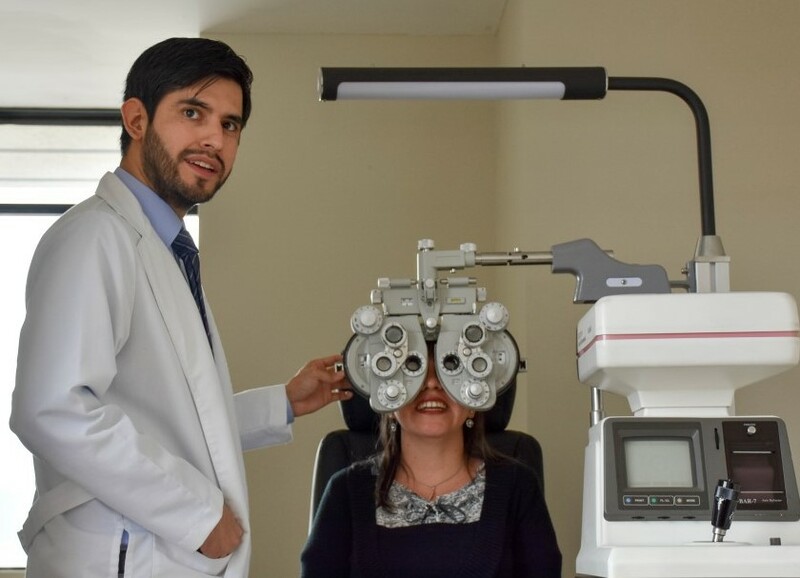 The IPC is a non-profit organization that provides specialized ophthalmology care and blindness prevention for people with limited resources. 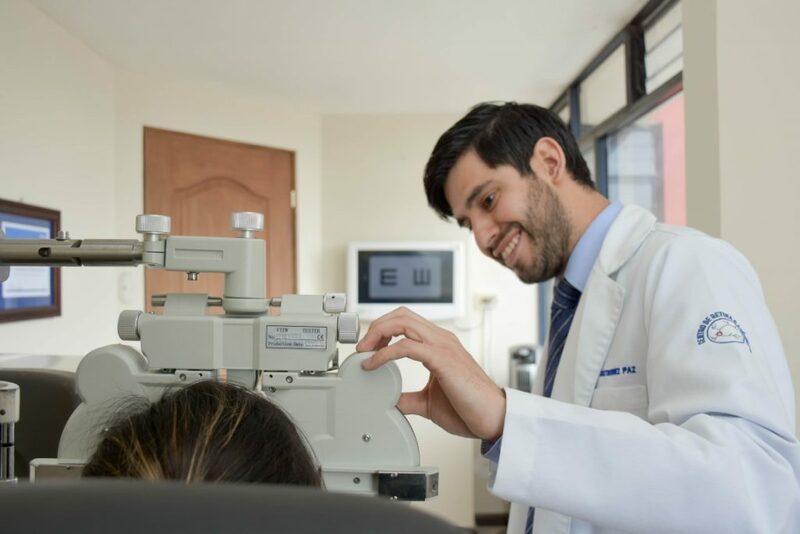 They are headquartered in Guatemala City and have regional clinics in rural communities of Sacatepéquez, Escuintla and Huehuetenango to provide low-cost vision care to local residents.